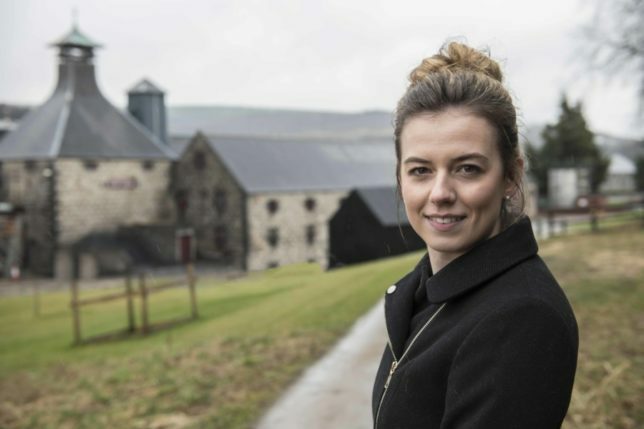 In August 2018, 26-year-old Kelsey McKechnie was appointed to the position of Apprentice Malt Master at The Balvenie – becoming one of the youngest women in the world to become an apprentice malt master. In a traditionally male-dominated industry, Kelsey is part of a growing group of young female experts who are changing the perception of who the average whisky drinker is. Here, Kelsey discusses the trends and tastes of the future from cask finishing to cocktail culture. Everyone talks about how to drink whisky – on the rocks, neat or diluted with water. There are as many ways to drink whisky as there are whisky lovers, but the industry is constantly evolving, and new trends and innovations are emerging every day. Knowing and studying these trends is key to understand how the art of whisky-drinking is evolving and what whisky fans will want next from their favourite drink. It is my role as Apprentice Malt Master to identify what will shape the future of whisky drinking, and work at developing expressions that drinkers of The Balvenie will love. I was officially appointed Apprentice Malt Master in August this year and I work alongside Malt Master David Stewart MBE, who is the longest serving malt master in the industry. 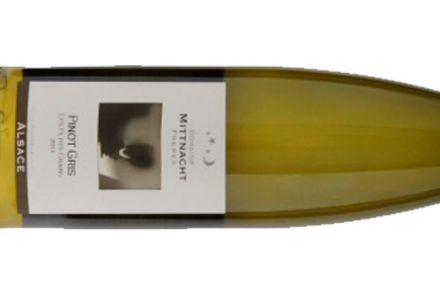 My role with David is to ensure the excellence and consistency of the liquid that goes into each bottle we make. The other important part of the job is looking at trends and developing whisky innovations of the future. 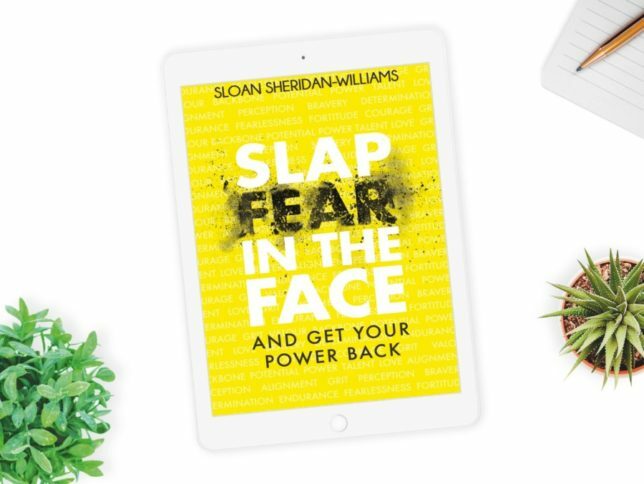 We constantly have trials bubbling away in the background – some see the light of day, but there are others that don’t go according to plan. Small differences in whisky making, maturing and drinking have huge impacts on the final drink and there are a number of trends we’ve seen recently which are changing the way whisky is made and drank. I’ve outlined five of these below. Cask finishing is a growing trend that has now become common practice. However, this process, also called ‘secondary maturation’, is a relatively new one that’s really been around only the past 20 years. It consists of aging a whisky in a different cask after it’s fully reached maturation. David Stewart was one of the pioneers of this method and this ‘double cask’ technique gave life to one of the most famous expressions in the whisky world today; The Balvenie Double Wood. Today, distilleries are pushing the limits of experimentation trying to cask-finish whiskies in a variety of different casks to alter and improve the taste of the liquid. For example, The Balvenie 21 Year Old Madeira Cask Finish is a liquid that’s been finished in Madeira casks, which gives it a fruity finish with caramel hints. Re-casking the whisky brings roundness and flavour to the final liquid and casks made from different wood will add unique touches to each whisky. The chemical reaction behind this process is still largely unknown, this is why it’s a trend that’s far from dying down, as it means flavour possibilities are endless. Today’s distilleries are working hard to debunk the myth that the older the whisky, the better. The arrival of No Age Statement whisky – whisky without an age on the bottle – has caused some controversy in the whisky world. This trend emerged following an increase in demand for specific whisky age – with 20 years aged whisky being one of the most popular. This means stocks of certain age statements are running low, as producers 20 years ago didn’t plan for such enthusiasm for one specific age. To combat this, and allow more diversification and experimentation, NAS has gained popularity among distillers, who are now able to blend liquids of different ages and create more interesting flavours. To be marked as NAS, the whisky needs to have matured for a minimum of three years only. 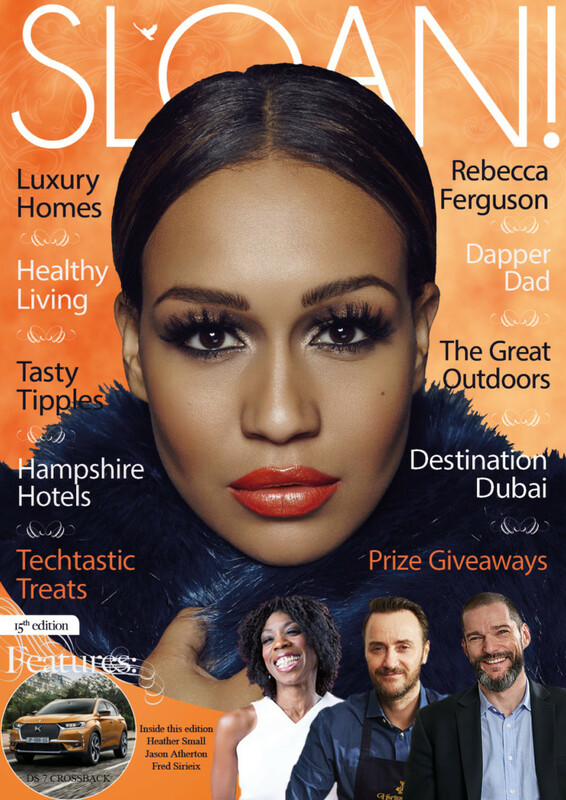 Gone are the days when whisky was confined to smoke-filled rooms with Chesterfield sofas. Today, it is consumed and celebrated by a younger generation of drinkers who are helping to give it a modern image. With this, comes new ways of drinking whisky and one trend we’ve been loving is the rise of the cocktail culture in the whisky world. A 2017 report by CGA shows that 10% of the 50 best-selling cocktails in the world are whisky-based and whisky bars serving whisky cocktails have been opening all around the world, notably in London with famous whisky cocktail bar Black Rock. As the whisky world is getting more modern, it’s also getting more accessible. We’ve noticed this through the rise of Grain whisky, set to be one of the leading trends of 2019. Grain whisky is a whisky that’s made from any type of grain like corn or wheat. 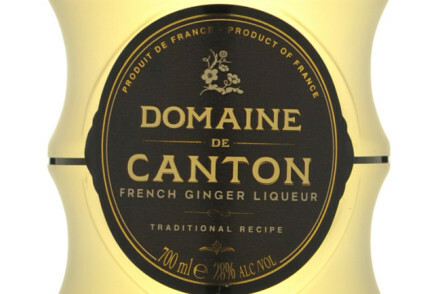 This differs from traditional ways of distilling which usually use only one type of grain, barley. In the past, other types of grain were only used to add body to a liquid and because it was cheaper than using malt barley. However, there’s been a regained interest in Grain Whisky because it makes for great entry-level liquids. Indeed, Grain whisky often offers flexibility and an easier flavour profile, which is perfect for new drinkers. Whilst adding water to whisky was often considered a sign of ‘weakness’, rules have changed and adding water to the drink has become more popular. Adding water to whisky helps bring out the taste of the liquid and diluting your drink with water will reveal its aromas and give it a rounder, smoother finish and mouthfeel. Bars in Scotland actually provide jugs of water for whisky drinkers to add to their drinks. So pour it up! 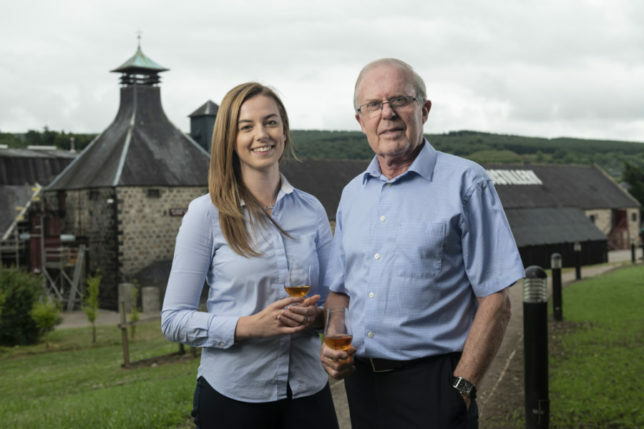 Kelsey began her journey to becoming apprentice malt master by studying Biology and Biological Sciences at the University of the West of Scotland. Having completed her studies in 2014 and with a fascination for the technique and skill behind spirit distillation, Kelsey applied her knowledge of clinical sciences to further study, with an Msc in Brewing and Distilling at Heriot-Watt University in Edinburgh, which she graduates from this year. 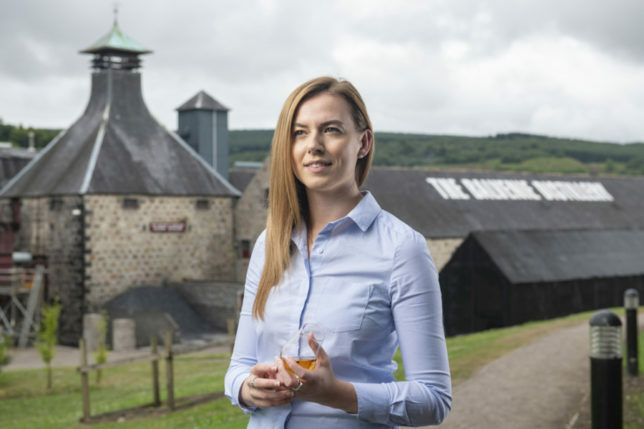 While studying, Kelsey began working at William Grant & Sons as a Technical Graduate and Whisky Technologist, with a focus on spirit quality and development. 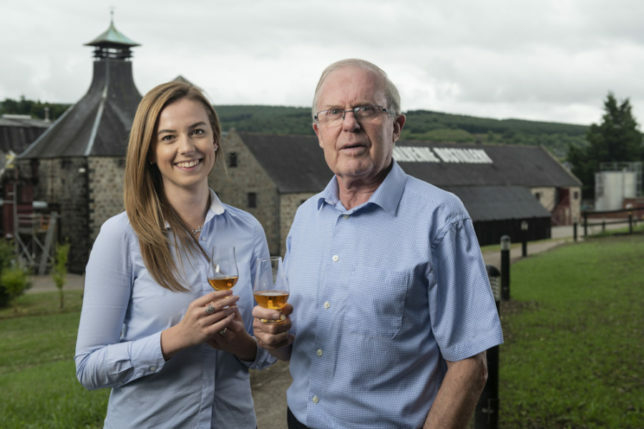 During this period, Kelsey started gaining experience learning the art and science behind crafting The Balvenie, as she shadowed David in the development and creation of recent bottlings such as The Balvenie Peat Week Aged 14 Years (2002 and 2003 Vintage), The Balvenie DoubleWood Aged 25 Years and The Balvenie Fifty: Marriage 0962. 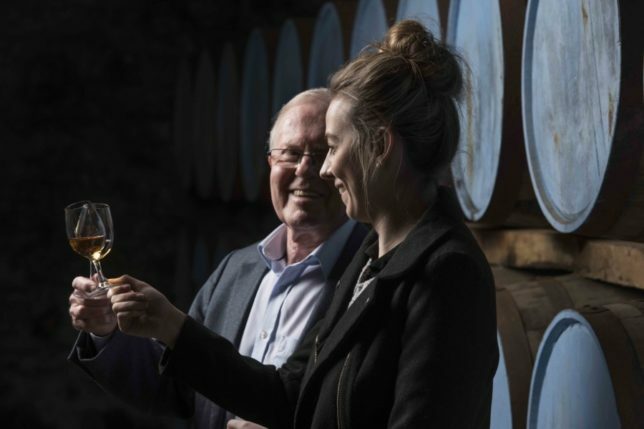 Her experience isn’t confined to just The Balvenie though, as Kelsey spent a significant amount of time working with Master Blender Brian Kinsman on spirit development for William Grant & Sons’ portfolio of brands, including Glenfiddich, Monkey Shoulder, Tullamore DEW and Milagro Tequila.